NASC member companies were widely represented at the 11th annual Construction News Specialist Awards held at the London Hilton in Park Lane on Wednesday 18 March, with five companies shortlisted and an outright winner in the Access & Scaffolding category – Chris Sedgeman Scaffolding Ltd – for scaffolding at the Dawlish Railway repair project, following the infamous storm damage in 2013. This latest achievement by Cornish member company Chris Sedgeman Scaffolding Ltd follows hard on the heels of a prestigious Project of the Year award in 2014, for outstanding scaffolding at the South Crofty Tin Mine (subcontract up to 500K category). In fact, it’s been four awards in four years for the Cornish member company. They won two awards in 2012, were finalists in 2013, winners in 2014 and have now have won again in 2015. 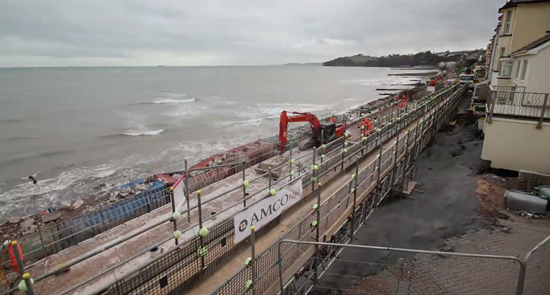 In addition entries from NASC full contracting members Brogan Group and GKR Scaffolding Ltd, also NASC information members 48.3 Scaffold Design were shortlisted for the Access & Scaffolding category award. And NASC members Altrad Beaver 84 Ltd were shortlisted for one of the Supplier category awards. The Construction News Awards welcomed nearly 800 people representing over 90 shortlisted businesses, all of which came together to “support and celebrate the outstanding achievements that the industry has made in the last year.” A panel of over 67 judges representing major contractors, clients and industry leaders had the difficult task of judging numerous entries across the various award categories and deciding upon the eventual winners. 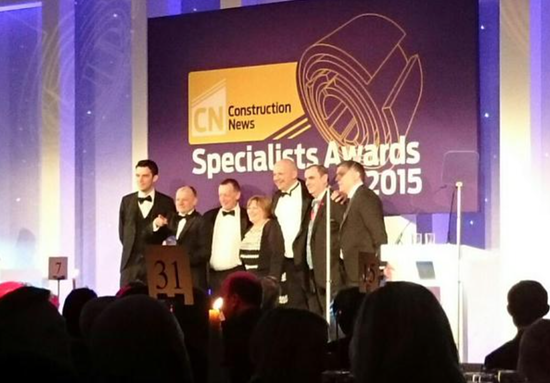 For a full list of 2015 finalists, award winners and to see images from the event, visit: www.cnspecialistsawards.com. 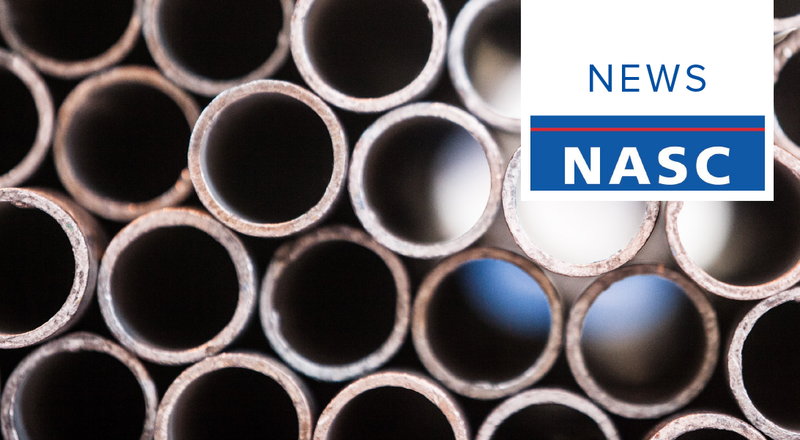 To obtain further details about becoming an NASC member, order a copy of TG20:13, or to find out more about the NASC – the scaffolding industry trade body – visit www.nasc.org.uk or email: enquiries@nasc.org.uk. The NASC are very pleased to announce that their Qualifying the Workforce (QTW) 2015 programme will begin this week. NASC members will be able to apply for a payment of £125 for any of their employees that they have qualified to CISRS Scaffolding, Advanced Scaffolder or Scaffolding Supervisor, since 1 September 2014. The operatives will need to have complepted all requisite training and be in possession of a current valid CISRS card for the grade they are applying for in order to be eligible. Claims must be made online using the correct application form – make sure you include all relevant information for each candidate. Applications will take up to 4 weeks to process. Please ensure that the correct individual details, card number etc. are supplied and also that the qualifications were achieved after 1st September 2014, otherwise the application will be rejected. 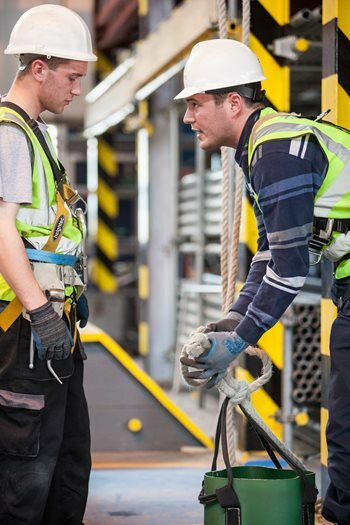 NASC will make up to 100 payments of £125 to employers who have put their operative through this course and have obtained a CISRS Labourer or CISRS New Entrant Trainee card via this process. These payments will be made on a first come first served basis. We have now exceeded our 100 target (Actual Total 110) for CISRS New Entrant Trainee/Labourer cards obtained via COTS for the QTW 2015 programme as such this category has now been closed. You may still apply for funding for Scaffolder, Advanced Scaffolder and Supervisors.